Motorola’s Xoom tablet is the first promising alternative to Apple’s iPad, but the sickly condition of Android’s tablet app ecosystem may end up stalling the platform’s progress. One month after its launch, the Xoom currently has about 50 native apps available for Android 3.0 Honeycomb, Google’s version of Android optimized for tablets. That’s pitiful compared with the iPad, which was released last year with approximately 1,000 native apps on launch day. 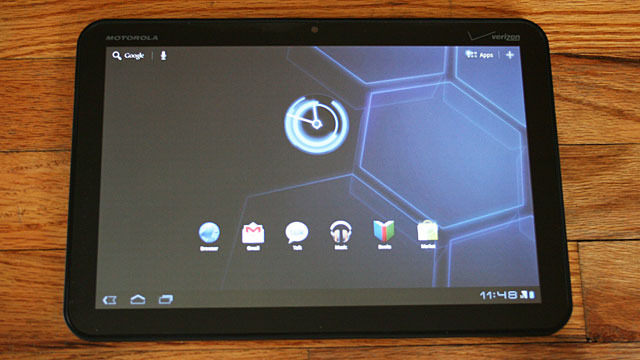 The Xoom debuted with a paltry 15 Honeycomb-native apps available for download in its catalog. 50 apps is a pretty small number, and the actual total may be even smaller. The official Android online market, as well as other online message forums for Android enthusiasts, place the number of Xoom apps somewhere close to 50. But this number hardly seems accurate, as it includes existing Android applications which have been resized to take advantage of the tablet’s larger screen. The number of apps with interfaces made specifically for the tablet is probably diminutive. Still, it’s unclear why more developers haven’t taken the short cut and resized their apps for Honeycomb. It could be that developers aren’t sold on the idea of resizing their apps to fit more screen real estate, as opposed to “building a true tablet experience that takes advantage of the new platform’s possibilities,” iOS developer Justin Williams told Wired.com in an interview. And even if developers wanted to create such a “true tablet experience,” they’re hard-pressed to do it without the source code for Honeycomb, which Google is currently keeping a tight reign over. The big device manufacturers working on Honeycomb-powered hardware—like HTC, Motorola and Samsung—all have early access to the code, but only after licensing agreements were made with Google. Smaller developers don’t have this luxury.